Buenos Aires: Foreign Minister Taro Kono and his Australian counterpart, Julie Bishop, have confirmed their countries’ commitment to putting the new Trans-Pacific Partnership free trade deal into effect at an early date. 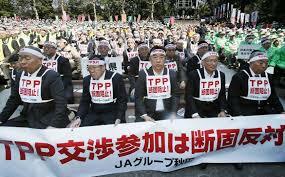 Japan, Australia and nine other countries signed the trade deal in March after the United States pulled out of the original TPP last year. At their meeting Monday in Buenos Aires on the sidelines of a meeting of the Group of 20 foreign ministers, Kono and Bishop agreed that Japan and Australia will cooperate closely with other countries to maintain maritime order in the Indo-Pacific region based on the rule of law. The two ministers also discussed North Korea’s nuclear program ahead of a U.S.-North Korean summit that is slated for June 12 in Singapore.